At French, Gifford, Preiter & Blasl, personalization is an important aspect of the service we provide. We are open to the things in life that are important to each person - even the ideas, or hopes, or dreams that someone might have carried throughout their life. We know there is meaning in the symbol and hope to help you identify the details that were important to your loved one, and then find a way to represent those details in the memorial that we create to their memory. Love. Life’s single greatest risk. Life’s single greatest reward. Intangible and unexplainable, yet ever so real and powerful. Love captures your heart in a second and holds it for eternity. Like the memory of a loved one, a diamond lasts forever. 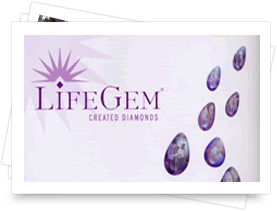 The LifeGem® is a certified, high-quality diamond created from the carbon of your loved one as a memorial to their unique life. 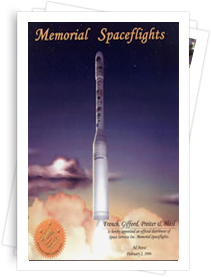 A new choice in truly unforgettable memorial services, honoring the memory of a departed loved one, you can have a small amount of ashes sent into either earth orbit, lunar orbit or surface or deep space. Join us at our launch events, and help bring the dream of spaceflight to reality by placing a portion of cremated remains on board a commercial or scientific satellite. French, Gifford, Preiter & Blasl is an authorized distributor for this service. The final resting place can be a very personal and highly personalized item. Often, funeral or cremation merchandise helps us meet that goal of personalization. 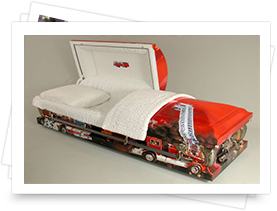 One example would be caskets that include engraving or embroidery. 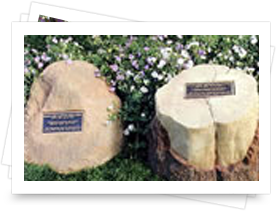 Other ways to personalize a memorial include the eulogy, the ceremony, memory displays, and discussion. Each family should choose the approach they are most comfortable with; the funeral directors at French, Gifford, Preiter & Blasl are here to assist you in this endeavour. French, Gifford, Preiter & Blasl Funeral Home offers a fine variety of the merchandise you require right on premises. Additionally, our supply channels will speedily deliver any item we do not stock. The funeral directors at French, Gifford, Preiter & Blasl will be happy to assist you.